I found Clark Gable’s eternal line from the 1939 classic, ‘Gone with the Wind’, framed and hung on the wall of our room at the Assembly Hotel in Covent Garden, London. Such is their location, I can’t imagine a guest at Assembly Hotel ever having said those words. 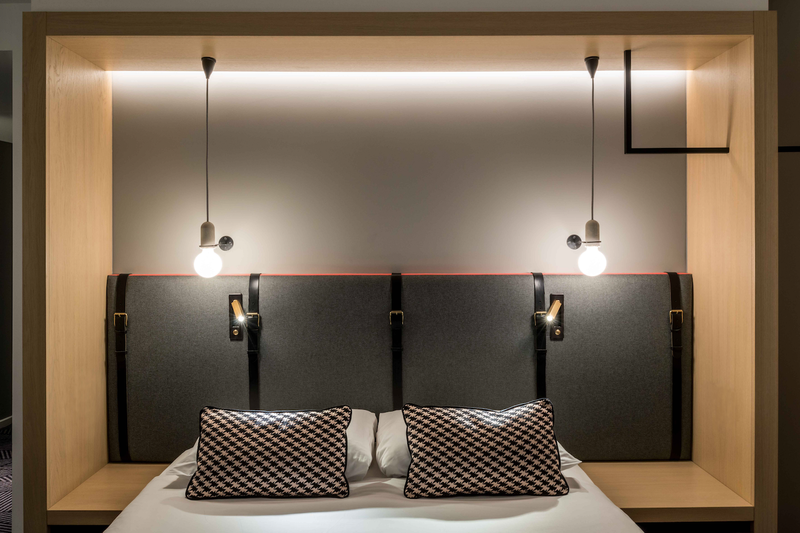 Mere seconds from Leicester Square underground station on Charing Cross Road, Assembly pitches itself as an affordable, West End nest for “explorers, experience-hungry travellers and everyday adventurers”. My companion and I’s room-type was actually called a ‘Nest’ – one of four room sizes, the others being ‘Snug’, ‘Pad’ and ‘Den’. As the names suggest, these rooms aren’t cacophonous suites straight out of a country manor, but that’s not what you necessarily want when you’re slap bang in the middle of town with a whole load of things to do. There are 121 rooms spread over nine floors at Assembly London and the emphasis is all on what matters. Our ‘Nest’ measured in at 13m2 (the largest room size being the ‘Den’ at 27m2) and contained, along with the aforementioned Gable quote, a comfy double bed, an en-suite with power shower, free Wi-Fi and enough storage space for even the most dedicated of tourist shoppers. Quite handy seeing as the world’s largest candy shop, M&M World London, is right around the corner. But while the chandeliers are out, Assembly Hotel certainly hasn’t shirked on its looks. The hotel itself was designed by Scott Brownrigg, a renowned international design practice, with the rooms inspired by British design icons Alexander McQueen, Stella McCartney and Gareth Pugh. 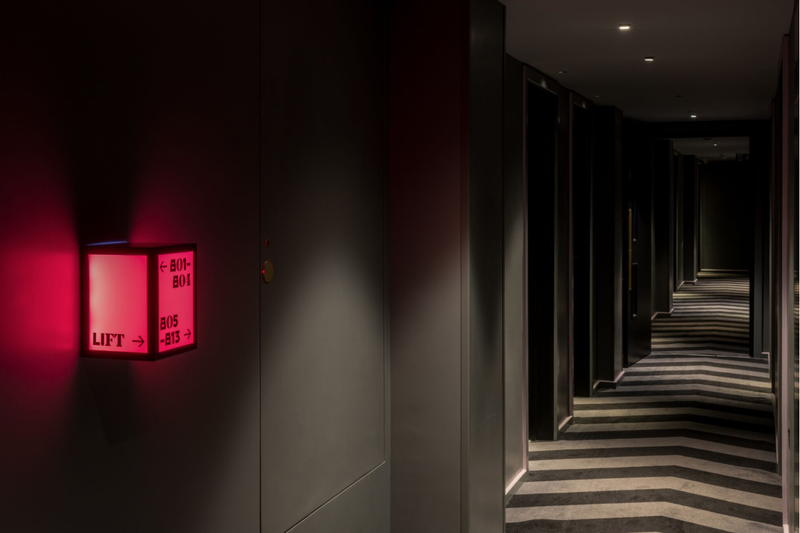 Award-winning consultants Nulty took care of the lighting, with plenty of purple and red fixtures adding to the urban aesthetic of the hotel, which only opened last summer. 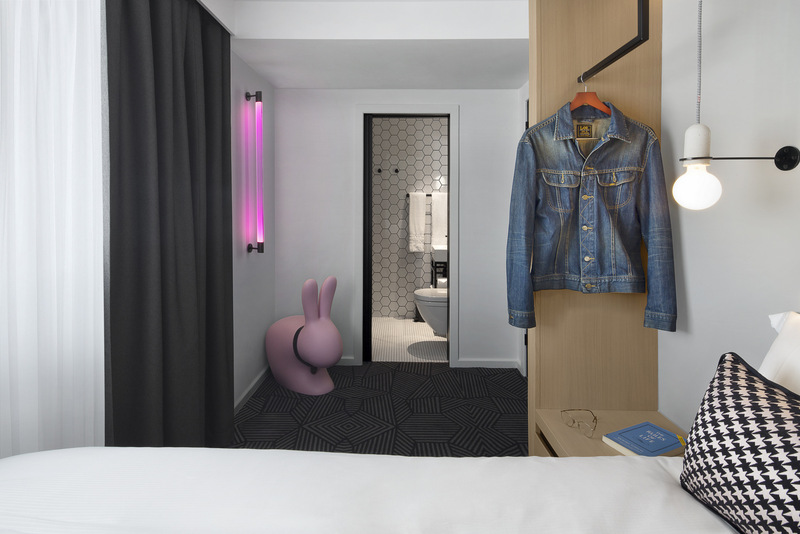 There’s quite a few pink bunny rabbits with belts to be found throughout that I’m not too sure about, but they do well to mind the room while you go off and explore London. 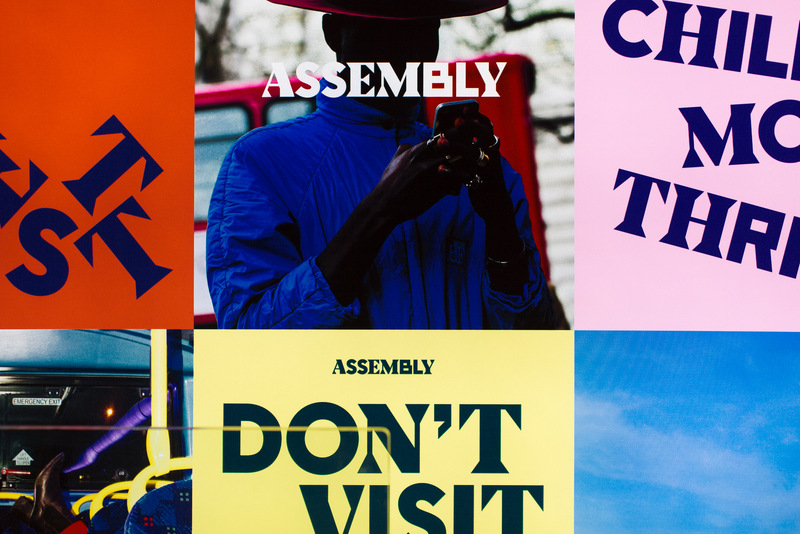 To properly put Assembly Hotel’s location into perspective, Trafalgar Square is quite literally a five minute walk, Piccadilly Circus a seven minute walk and Chinatown just four minutes in the other direction. The latter was our first destination and we set off safe in the knowledge that our keycard would get us back in through the inconspicuous front door of Assembly Hotel regardless of how late we got back – an almost essential feature for London night-life investigators and one that applies 365 days of the year. For us, the Joy Luck Restaurant in Chinatown brought old-school Chinese cooking, with our deep fried crab in salted duck yolk the pick of the bunch. Then it was straight over to Maitre Choux in Soho who do the best éclairs in London. Hands down. A good few hours were then spent in Bar Termini, one of the best little bars in town, who served us all sorts of Italian-style cocktails, classic or otherwise. And, after a few more timely stops, a trip to the infamous Garlic & Shots bar – hidden down Frith Street – finished us off. There are a number of what might be called unnecessary amenities when staying in a hotel in the heart of the West End. Massive TVs perhaps aren’t really needed, not with a wealth of theatres and cinemas right on your doorstep. And who has time for a bath with happy hour on the go? 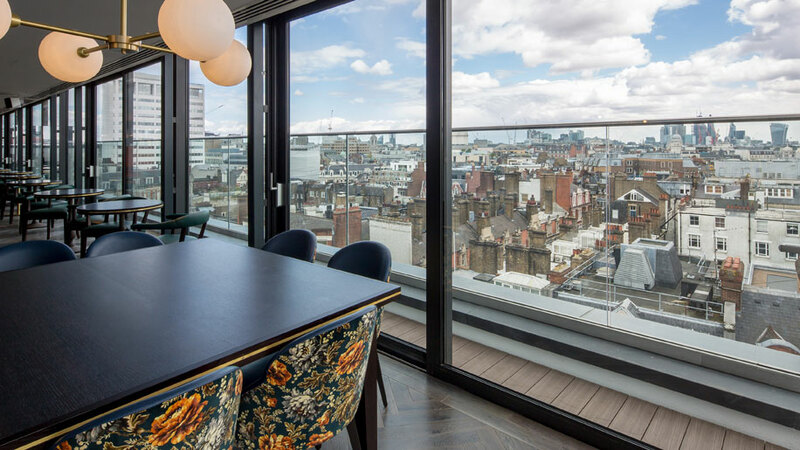 I’m not sure if you’d call a rooftop bar, restaurant and cafe an amenity but that’s what’s to be found on the tenth and top floor of Assembly London. Their own little secret, if you will, called ‘B&H Garden Room’. I would certainly call indulging in an Eggs Benedict the morning after a night out in London town necessary. 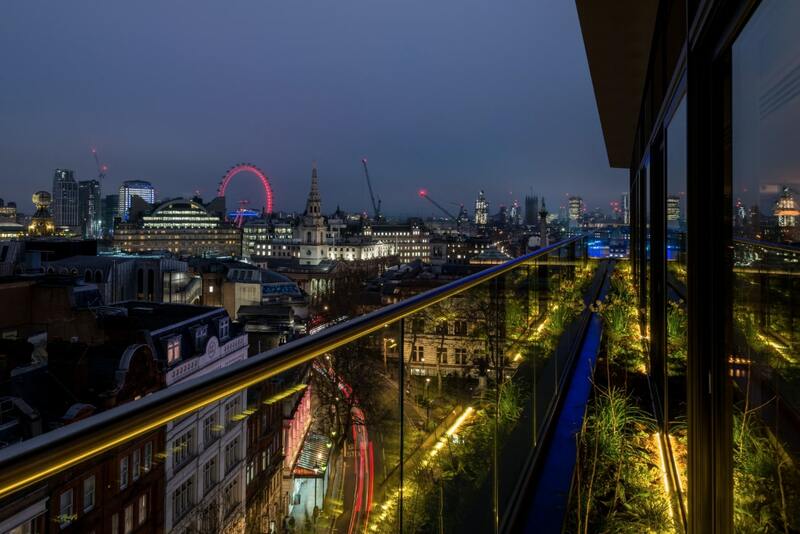 Especially with stunning, panoramic views of the city skyline. Assembly London proudly supports Crisis, the national charity for homeless people, with their ‘Bed for a Bed’ initiative. For every room sold to an Assembly London guest, a donation is made to Crisis to go towards helping a homeless person into a home of their own.